In Atlanta we don’t usually have to do moves in the snow. But last month was an exception. 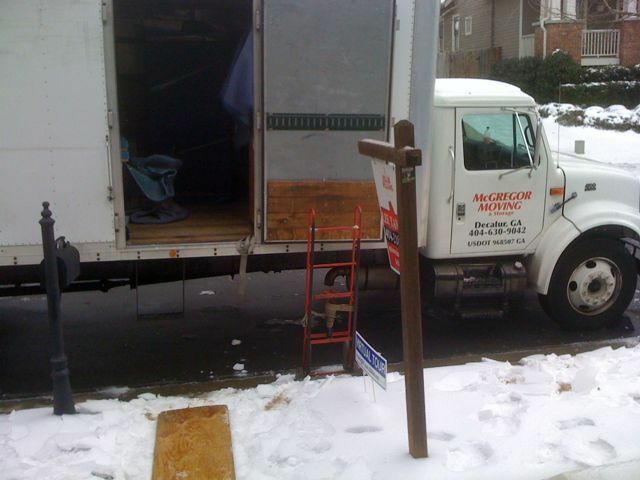 On a day when all the schools were closed, and most of the city was shutdown, we were able to get this house loaded even with snow and ice on the ground. The customer sprinkled salt on the front porch, and we had a strip of plywood to lay over the snow–see below. As long as we loaded most of the items through the side-door, and not through the rear door where we had to use the ramp, then we were okay. 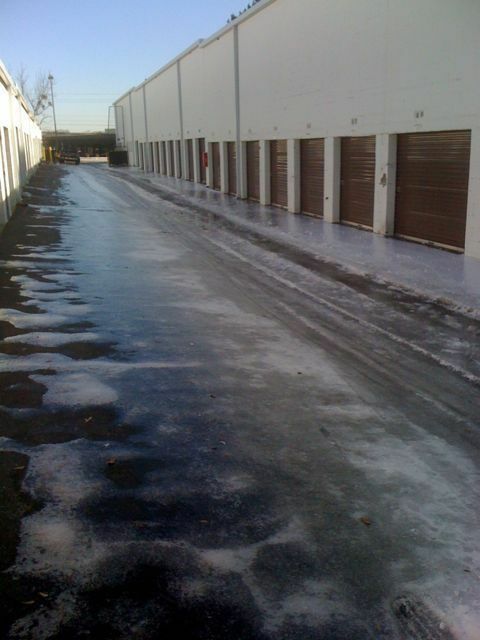 This entry was posted in Extreme Weather and tagged big melt, plywood, ramp, salt, snow, Storage by Bob McGregor. Bookmark the permalink.